If you have an older car, then the lack of Bluetooth can be kind of frustrating. But you can still make hands-free calls and stream music with a Bluetooth speakerphone. These speakerphones are best for hands-free calling. If you’re in a pinch and your stereo is broken, then you can use one of these to play music. Just be warned, it won’t sound as good as your average set of car speakers. 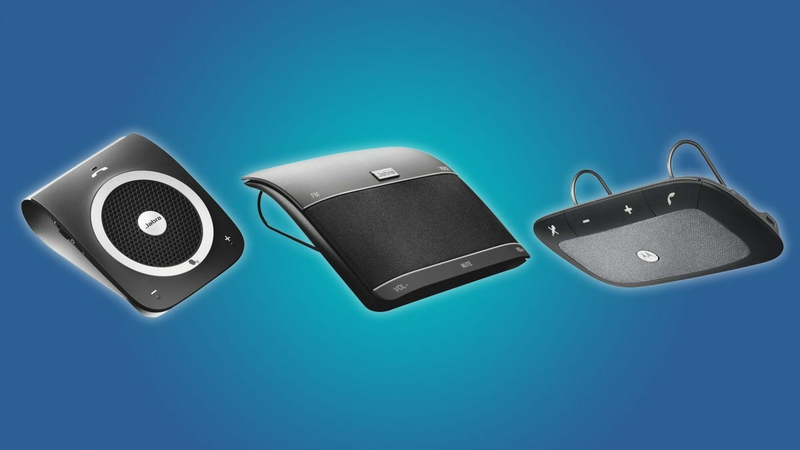 There’s a lot of confusing products in the world of Bluetooth speakerphones. Some of them are poorly designed, and others are very out of date. That’s why we’ve taken the time to find the best Bluetooth speakerphones, from budget to premium. This is a great product for people that want to add Bluetooth to their car without breaking the bank. It’s loud, it has a great battery life, and you can make outgoing calls without touching your phone. 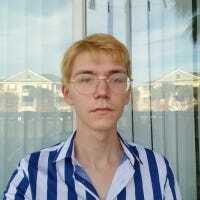 The Avantree does lack the higher sound quality found on some of the more expensive models featured here, however, so keep reading if your key concern is audio fidelity. 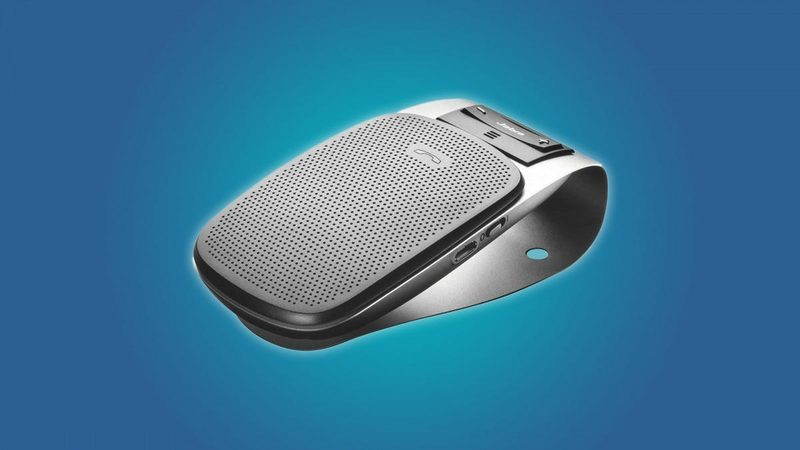 The Jabra Drive is a small, good looking Bluetooth speakerphone that features noise-cancellation technology and the ability to quickly switch between different phones while driving. It has a loud 2-watt speaker, a 20-hour in-call battery life, and a set of volume buttons that are easy to reach while driving. 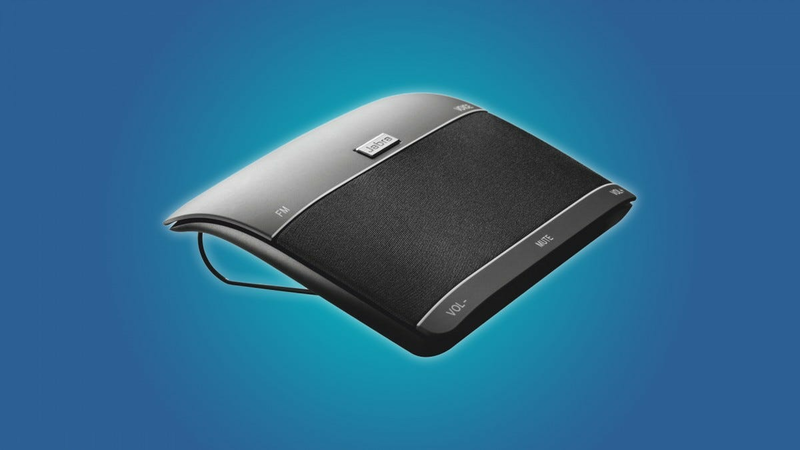 Sadly, the Jabra Drive doesn’t give you any options for hands-free outgoing calls. 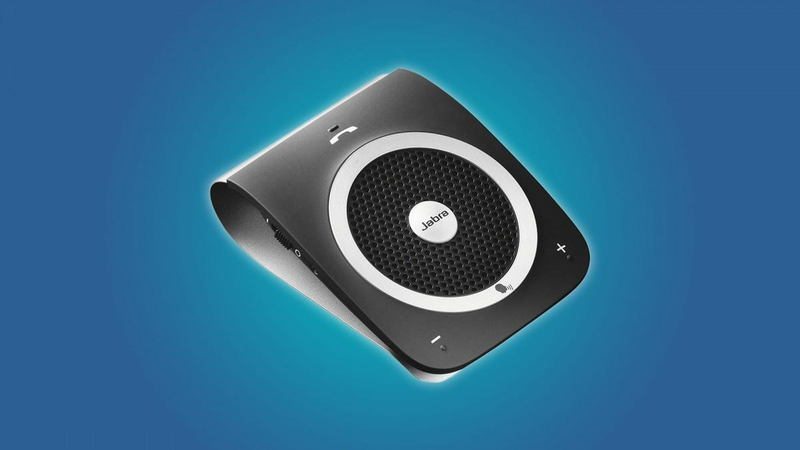 If you want to make a call with the Jabra Drive, then you need to do it on your cellphone. That can be a deal-breaker for some people, just don’t forget that you can use voice-commands with Siri or Google Assistant to make outgoing calls on your phone. If you share a car with the family, then a speakerphone like the Motorola Sonic Rider can be extremely useful. It can remember up to six devices, and it boasts a 60-hour in-call battery life. The Sonic Rider’s 2-watt speaker is quite large, so you don’t have to worry about low call volume. And since the Sonic Rider also has noise-cancellation technology, nobody will have any trouble hearing you on the other end of the phone. 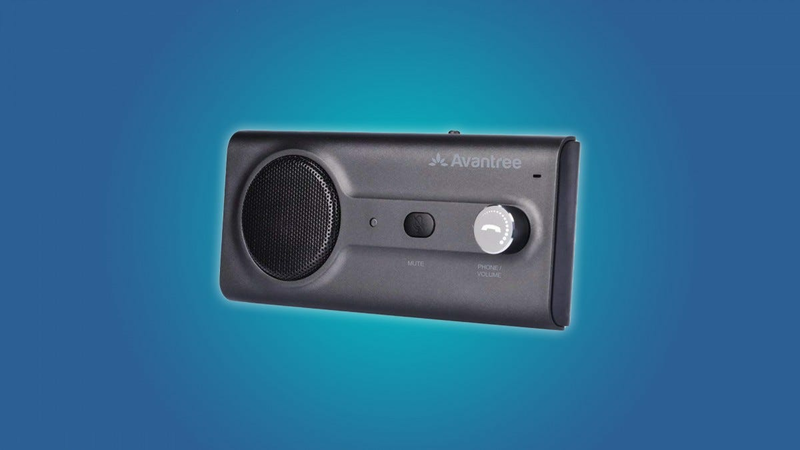 While this speakerphone does feature some voice commands for accepting and declining calls, it doesn’t have any options for making hands-free outgoing calls. You’ll have to do that with your phone’s built-in voice assistant. If you’re looking for a high quality, mid-range speaker phone, then you should consider the luxurious Jabra Tour. It has a crisp, 40mm speaker that can bring phone calls, music, and podcasts to a higher level than other speakerphones. The Jabra Tour comes with a Micro USB charging cable for your car, but it has a 20-hour in-call battery life, so you won’t need to charge it too often. The Jabra Tour sports a high-quality microphone with voice cancellation, so the person on the other end of your calls won’t have any trouble hearing you. It pairs with your phone’s built-in assistant, and a quick tap on the edge of the Jabra Tour’s speaker will allow you to use voice commands to make outgoing calls. The Jabra Freeway is a bit expensive, but it’s a fantastic speakerphone. 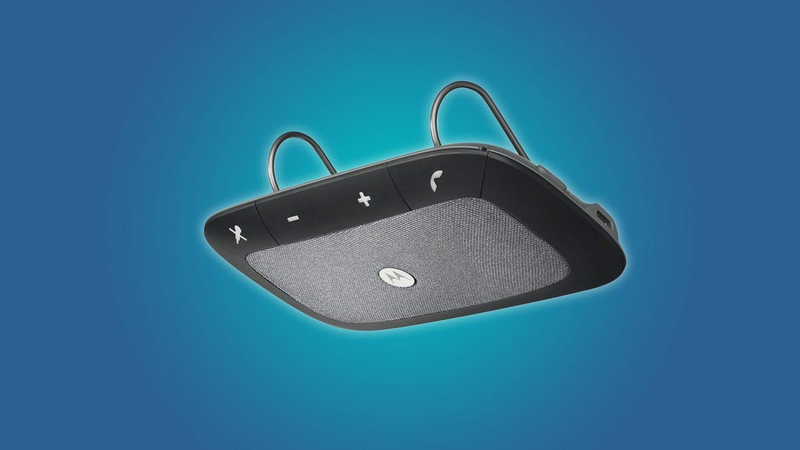 It has 3 high-quality speakers and creates a virtual surround sound environment. But music lovers don’t have to stick with the Jabra Freeway’s speakers, because it has a built-in FM transmitter that your car’s radio can dial into. As you would expect from a premium speakerphone, the Jabra Freeway has buttons that are easy to use while driving, noise-cancellation technology, and support for your phone’s virtual assistant. Sadly, the Jabra Freeway only has a 14-hour in-call battery life, but it can do a lot in those 14 hours. If you’re concerned that a dedicated speakerphone won’t have the sound quality or versatility that you need, then maybe you should consider using a typical Bluetooth speaker in your car. The Anker Soundcore is a loud, high-quality Bluetooth speaker that doesn’t cost much more than a meal at a cheap restaurant. It’s one of our favorite budget Bluetooth speakers, and it can do a lot of the things that a speakerphone can. It’s just a little bulky, that’s all. Any Bluetooth speaker can be used to amplify call volume. Of course, your average Bluetooth speaker doesn’t have a microphone, but you can always set your cellphone to speaker mode and use that for your calls. That’s where it pays to look at the details, this Soundcore speaker has a built-in mic so you can use it to not only hear your calls but talk back too. Another thing to keep in mind is that Bluetooth speakers are designed with music mind and typically offer a way better bass range than clip-on speakerphone models, so a Soundcore will be better for music listening than small Bluetooth speakerphones. 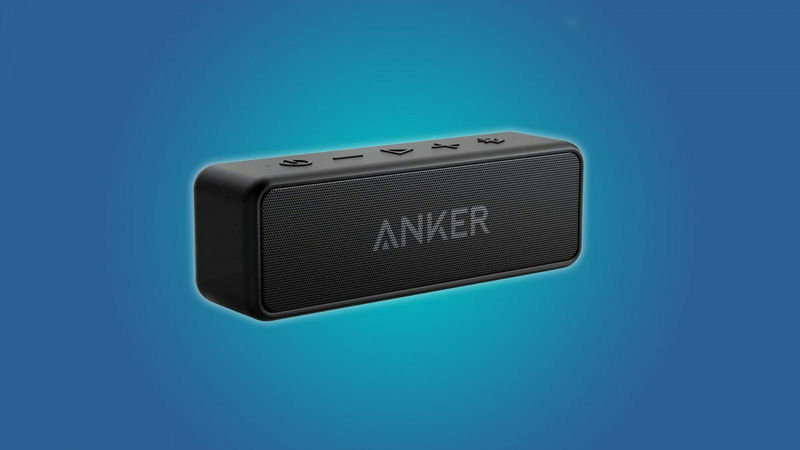 Bulky Bluetooth speakers don’t have the battery life or convenience of a proper Bluetooth speakerphone, but a cheap speaker like the Anker Soundcore may be better for music lovers or people that are on a budget.